1 Alabama, Deaths, 1908-1974, Death record for Kate Adams Keller, FamilySearch.org (Online Database). 2 Find A Grave, (accessed 11/16/2012). 3 NEHGS NEXUS: New England Across the United States, 1987, Vol. 4, p. 26, New England Historic Genealogical Society (Online Database). 4 Northern Alabama Historical and Biographical, Birmingham, Alabama: Smith and De Land Publishers (1888), 433. 5 Browning, Charles H., ed., Americans Of Royal Descent , Philadelphia: Porter and Coates (1883), 249, Google Books (Digital Library). 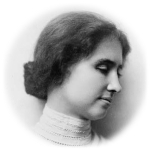 6 Wikipedia, "Helen Keller", (accessed 12/22/2011).